In 1992, Arlene Rice opened Details Past and Present Art and Antiques in a small, 400 sq. ft. space on Kent St. Details quickly outgrew this space, and moved to the current location on Victoria Row, in the heart of Charlottetown’s Heritage District, several years later. It has been an ever expanding learning curve, one in which we have had the good fortune of meeting some incredible artistic talent and creative personalities from local and international circles. What began as an eclectic collection of art and home décor, has grown to be a well-known feature within the Charlottetown arts community. 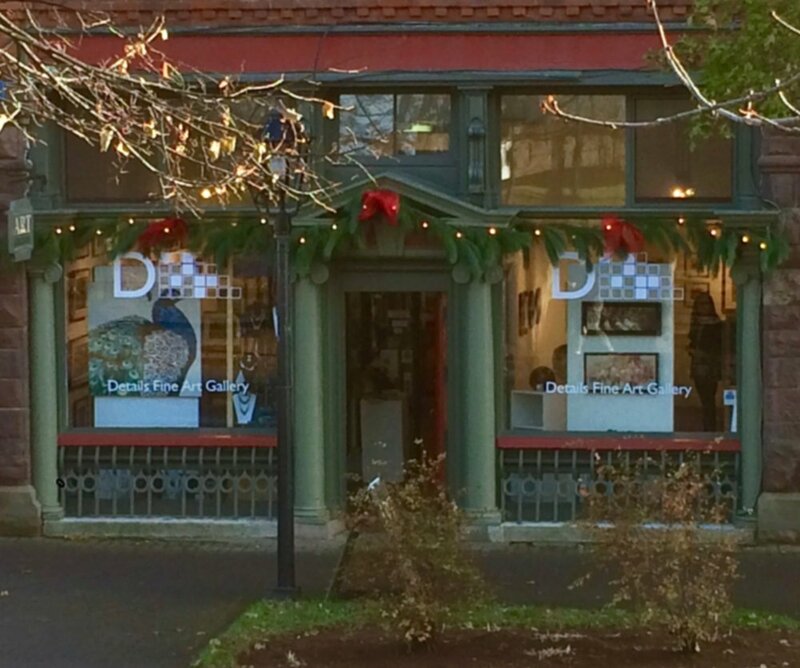 Over the years, our focus became more on the fine-art side of the business, and we changed the name from Details Past and Present to Details Fine Art Gallery. Today Details represents a broad cross-section of artists and artisans. From paintings and ceramic arts to art glass and designer jewelry; we are surrounded by beauty in all its forms. Details’ collection emphasizes local talent, but we also represent well known artists from across Canada and beyond. Our clients come from all walks of life and from all corners of the world. They are seeking that perfect painting for their home or office or adding to their existing collection. We count it a privilege to continue offering high quality art from our broad spectrum of emerging and established talent.